Use this mode to prevent others from using or accessing specific content, such as images and documents, stored on the device. You can activate this mode, save content to a specific location, and then deactivate private mode to hide items securely. 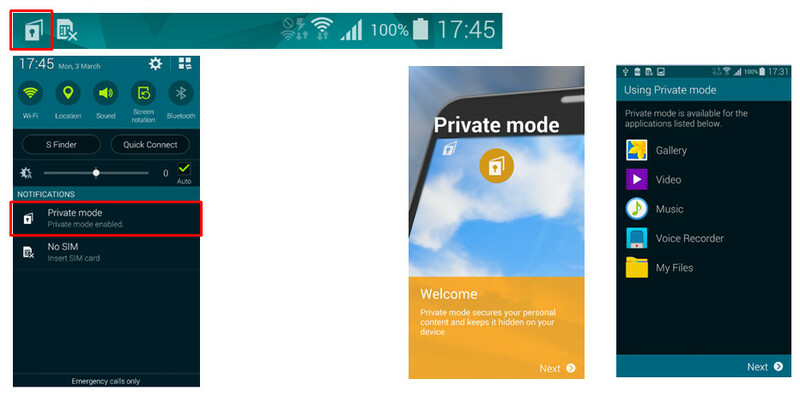 Private mode is available for the applications of Gallery , Video, Music, Voice Recorder and My files.